The Cambridge Replication Workshop 2013/14 just finished. In eight sessions, graduate students replicated a published paper and learned about reproducibility standards. This is a summary of student feedback on data transparency and the course itself. Some were extremely frustrated, a few dropped out, and those who stayed found the course “fantastic” and “incredible”. In the second run of the replication workshop, the main problem was for students to find a suitable paper to replicate. While last year the search for a paper (and data) took place during the first two weeks of the class, this year students were asked to bring papers to the first session to discuss suitability. I had provided guidelines and advice by email beforehand. The idea behind that was to speed things up and leave more time to replicate the papers. However, some were overwhelmed by the lack of data access, not knowing where to find data for their papers in the first place, or how to decide if methods in ‘their’ papers were too advanced. I should mention that this is not a methods course teaching e.g. regression that assigns replication as a homework, but a stand-alone workshop in which students need to be able to assess the methods in the papers and match it with their skills levels. Some of the students had come as far as bivariate association in their previous courses, others were more advanced. During the later stages of the course, TAs jumped in and provided tutorials e.g. for ordered logit models ‘on-the-go’. A second issue was that many students had only done an ‘Introduction to R’ class or even learned R themselves. 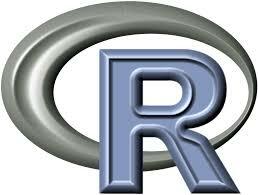 R is an efficient software option to keep a log of used code; it is great for reproducibility. One student tried to learn R during the course (knowing STATA beforehand) and dropped out when that did not work. Others could run simple models in R, but had difficulties to clean, merge, transform and convert data from the originally provided files. One student from economics dropped out of the course because after having repeatedly asked authors of five different papers for their data without success, there was nothing to replicate in class. That was a low point for me as well, and I could not persuade her to stay and work on a paper further outside of her topic interest. The student felt it was a time waste to keep going, and that economics might be the wrong field for replication studies. I asked students about what was most challenging in the course and what were the biggest problems with the replication or any other aspects of the course (e.g. software)? Most said that time issues (I had a few drop-out’s due to the intensity of the workshop) were a problem, and using the right functions in R.
Another student said that “getting started with unfamiliar models” from the original paper was difficult. How useful was the course overall? Statistical knowledge: Ideally, students would have completed statistical courses in R up to ordered logit regression, and even better, panel data analysis. This does not always work out time-wise with the schedule of stats modules at Cambridge, but teaching methods within the replication course (through tutorials) takes up too much time. This problem would be less an issue for a methods course like Gary King’s that teaches statistics to get all students on a similar level, and assigns replications as homework. Software skills: At the Methods Centre at Cambridge, we have just started last year to introduce R. Not all students came with the right amount of software skills (although that was ‘officially’ in the prerequisites for the course. This led to time loss due to searching for R functions and helping with data cleaning, subsetting etc. Time: The course had eight sessions and time to work on the project over several weeks around the Christmas break. 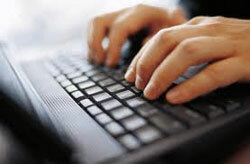 Some students would have preferred a longer course to get familiar with the methods and to have time to learn now techniques to add new value to the replication study. The Christmas break was intended to get the bulk of work done – but it ‘happened’ just after two weeks of the course, which was too early for some students to ‘really get started’. Last year, we had a similar break towards the end of the course, when students were more advanced with their replications and felt more confident to work on their own. Interdisciplinarity & Voluntariness: In student feedback, most preferred for the course to remain open to all fields, and to remain a voluntary, non-graded course. I understand that students would think so, but I also see advantages when such a course concentrates only on political science (or sociology, psychology), and when the course is compulsory. That might make it more efficient and could prevent drop-outs. On the other hand, students enjoyed weekly updates and discussions from other fields than their own, and those who stayed in the class achieved a lot even without the grading incentive. … are in our dataverse: http://thedata.harvard.edu/dvn/dv/CambridgeReplication.